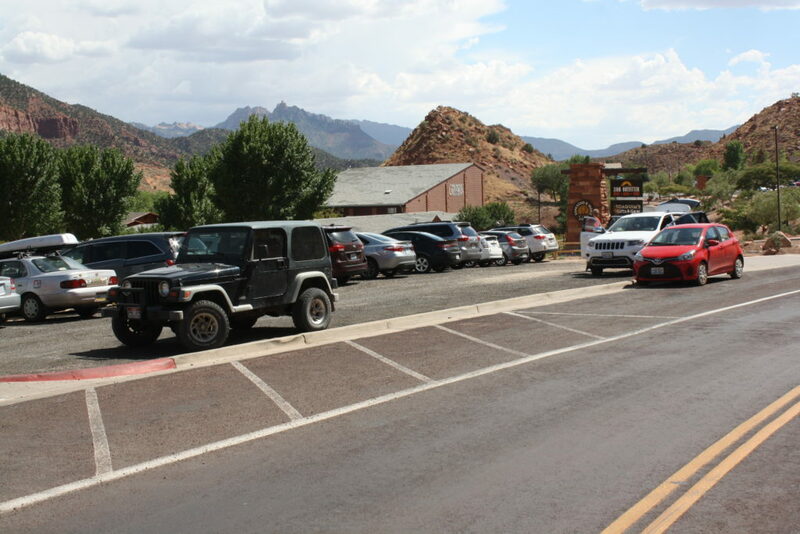 SPRINGDALE – As Zion National Park visitation continues to grow – to an estimated 4 million this year – transportation and parking capacities are becoming obviously strained both in the park and in its adjoining communities, Springdale in particular. In a survey conducted for this report, more than a quarter of the people surveyed rated their recent transportation experience with Zion frustrating to varying degrees and, more specifically, half of the people rated their parking experience frustrating, again to varying degrees. More on the survey below. Not only does the strain create a challenge to the entities’ infrastructures but visitor frustration actually runs countercurrent to the National Park Service’s goals of providing visitors a high quality visitor experience. The park and the town are linked by these necessities and typically work together to resolve concerns. Currently, the park is working on a visitor use management plan with Springdale’s input. Springdale and Zion have formed a parking committee since parking is one of the major issues both entities face. For instance, during the peak season, parking within the park typically fills by around 9:30 a.m., leaving Springdale as the next option for those dispersed. Both Springdale leaders and park managers are pushing to make Springdale a more pedestrian-friendly community. Part of that vision is to try to eliminate street parking from the Hampton Inn to Lion Boulevard and to install an 8-10 foot sidewalk along that stretch of road. As part of the sidewalk construction, the city plans to put in curb and gutter, more crosswalks and take out the ditches along that stretch of road, which have become a little hazardous with people jumping over them. In Springdale’s Town Council meeting Aug. 10, it approved a preliminary plan to build a parking structure on Balanced Rock Road, near the entrance to the park, Springdale Mayor Stan Smith said. The parking lot idea is in its infancy and a conceptual rendering, timeline and contractor are not in place yet. Springdale hopes these improvements and its overall transportation plan will eventually eliminate 200 parking spaces. The recently approved structure will have a huge impact and make it so parked cars won’t be the only thing visitors see when they drive through town, Smith said. They’re looking for a parking structure that will blend in and not stick out. Some Springdale residents themselves are already trying to alleviate the parking problem. They are thinking about turning their pastures into private parking lots, Burns said, realizing they’ll make more money from their vacant land that way. The first such lot is a self-pay lot just up Lion Boulevard from state Route 9. “That’s the wave of the future,” Burns said of the private parking lots. “That’s American enterprise,” Smith added. Springdale and the park need to cooperate in meeting their transportation needs, Smith said with emphasis pointing out that Springdale is practically in the park, being surrounded by it on three sides. The parking structure is only phase one of the transportation system, Smith said. They’ll see how it works before moving on to further phases. The park and Springdale are looking at all options to solve their transportation problems, Smith said, building a public-private partnership to get it going. “We don’t want to go into panic mode,” he said. While a parking lot is not the overall solution, the mayor said, “movement” is; and part of that movement is finding ways to eliminate more cars coming to Springdale and Zion and dispersing visitors differently. 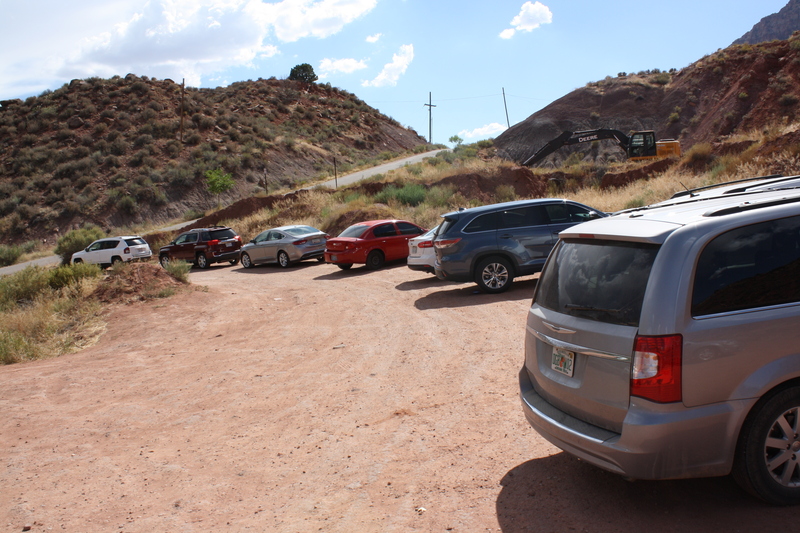 A survey of 42 respondents, largely Washington County residents, taken for purposes of this report addressed frequent Zion visitors’ most recent transportation experiences within the park. 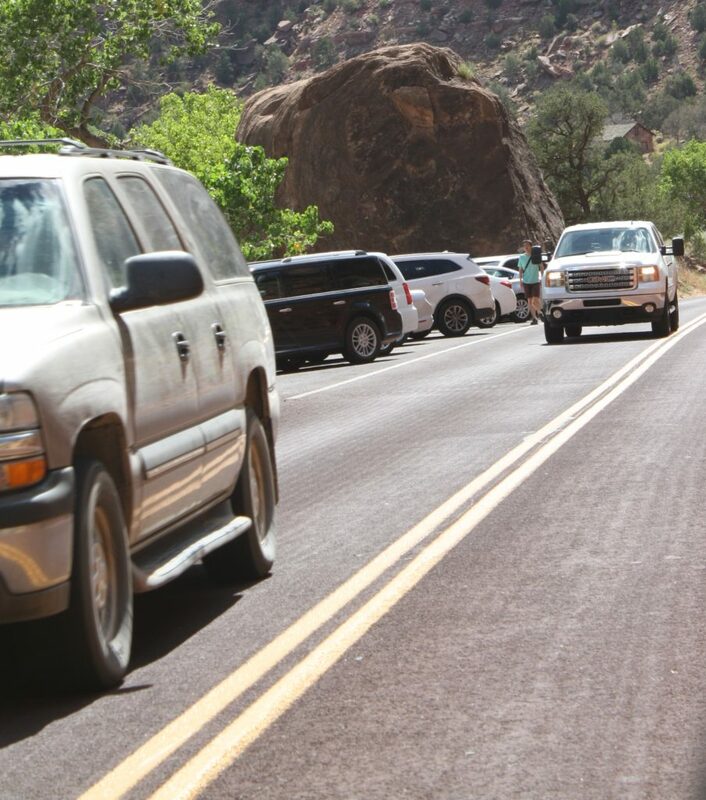 Participants were asked to rate their most recent Zion National Park transportation experience. Of those surveyed, 52.4 percent said it was good or extremely good while 28.6 percent of respondents said their transportation experiences were somewhat frustrating or extremely frustrating. Of the comments associated with this question, only 12 were positive, 22 were negative and eight were neutral. In their explanations to justify their responses, nine people surveyed mentioned how crowded the park’s buses or transportation facilities are, six mentioned long lines and wait times and three even said the shuttles were smelly. Participants were asked to rate their parking experience. Of those surveyed, 50 percent of said their parking experience was somewhat or extremely frustrating while only 26.1 percent said it was easy or extremely easy. Of the explanations given for responses to this question, only two were positive, 21 were negative and 15 were either neutral or said they knew beforehand when to visit the park to have a better parking experience or good places to go to find a parking spot. In order to get a parking spot one must arrive early, four of the respondents said. One of the measures the park is considering in developing its visitor use management plan is limiting daily visitation to the park. Of those surveyed, 64.2 percent said it would be unacceptable or extremely unacceptable. Only 23.8 percent said it would be acceptable. Of the comments associated with the question on limiting visitation, only seven were positive and said limiting visitors would improve the visitor experience. 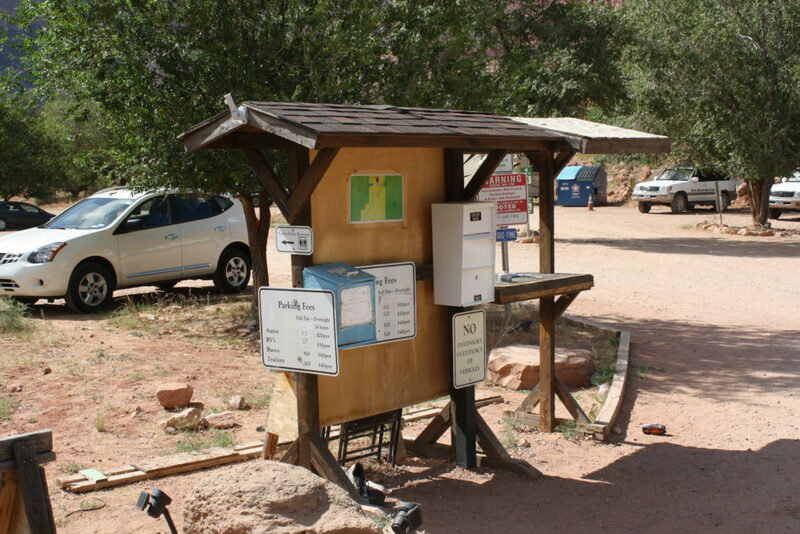 This report is the second in a series on issues related to Zion National Park’s growth challenges and its ripple effects on surrounding communities. Related reports address park and local officials efforts towards developing a visitor use management plan and an array of options pertaining to shuttle service and wider range busing. So, Springdale has a parking problem (yep) and their solution is to REMOVE 200 parking spots?? BRILLIANT! !